They are currently 24-27 million under the cap. Think about it. That’s very little. Usually 12-13 million of that is for your rookies Now your at about 12-15 million of space. If they can’t come to an agreement with Collins. There’s another 12 million. That’s it there done. Well. If your banking on a cap increase. That may give them about 10-13 million there. So maybe a OT like Williams? My only conclusion is Eli and Vernon. Both need to trim the fat off there contract or cut them. Personally I don’t see Gettleman approaching Manning at all. Maybe Vernon. I don’t think Vernon is the type of player to work something out. He is the type of player to say cut me. I will sign another 50-60 million somewhere else. Get a big signing bonus and collect the rest of my guarantee from the Giants. When we cut Vernon and if we do something with Eli's contract, we will have around 40 million. Our top target is obviously Daryl Williams, followed by Tyrann Mathieu. Vernon is either getting cut or taking a pay cut. The giants will choose Collins over Vernon. But both have injury problems. but lessens an already bad pass rush. My only conclusion is Eli and Vernon. Both need to trim the fat off there contract or cut them. Personally I don’t see Gettleman approaching Manning at all. Maybe Vernon. I don’t think Vernon is the type of player to work something out. "I made the Pro Bowl this year, and you won't even APPROACH your declining, 38 year-old quarterback? Go pound sand." I disagree regarding Eli's contract.. I don't see how they can't make him concede at least half of it to remain on the team this year. Otherwise, what's the point? cut him. It's bad business and it will reflect badly on Mara and Gettleman and question there true intent to improve the quality of the team if restructuring Eli's contract doesn't happen. This is not about Eli, this is about the Giants this year and beyond and I hope to hell Mara/Gettleman are viewing it that way. The organization has given Eli all he deserves, it's time for Eli to give back to the organization that made him what he is. I have defended Eli since that first year, specifically the road game that first-year against San Diego. But he's got to give back. He's easily got 100 million in the bank after paying all his taxes and spending cash for his house. Just the interest on that can keep the base safee in 30 Generations of Manning's an ermine and mink - and that's before lucrative endorsements and that's before the man ever does a day of honest work. He is narrow-minded and greedy if he doesn't understand that his legacy is much more important t h a n what is basically a couple of surplus dollars. Eli will most likely take a few million less , which will be possible to make up in incentives . That's the best case scenario , or watch they will extend his contract to lower the cap number this year. The league average is $37Mil in cap space. The Jets and Colts have about $100mil in space!!! That's more than half of the projected salary cap!!! They are going to go on serious spending sprees and as always, the free agent market is going to be highly inflated. I've always believed that good teams are built through the draft. You get the most value out of players that produce while still on their rookie contracts. 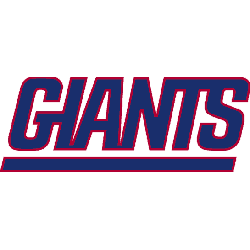 Disregarding injuries, OBJ and Landon Collins where the same player in 2017 as they will be in 2019, no better, in 2017 they cost a combined $5mil in 2019 they are going to cost $30mil. Teams that have a good base use free agency to get their few missing pieces to be a contender. Right now the Giants have too many missing pieces and free agency isn't the answer. The 2007 draft was a big reason the Giants won 2 SB's. They built a good base and filled in the few missing pieces in free agency, IE Plaxico Burress, Antrel Rolle, Michael Boley, Antonio Pierce and Kareem McKenzie. The XLII and XLVI teams were mostly home grown. You can blame DG /Mara for the OBJ and Solder FAT contracts. We are stuck with Jenkins bloated contract one more year at least. If they don't get Eli to an incentive based contract that lowers his overall hit (I bet its spread over 2 years...boo!) then they aren't doing their job. We need to pull in Williams @ RT if it doesn't kill us and the gamble is worth it coming off the knee. OR we have our target Rd1/2 on a RT....its our weakness on the OL. I prefer we draft an OG as Brown was average. Then we load up the truck in the draft with D.
There’s another thread on the board about Bellicheck and the importance of coaching. This cap space dilemma highlights BB’s strength and most of the rest of the leagues’s coaches weakness. BB is never held hostage by “indispensable” players. Fretting about Vernon would never happen with the Pats and they would never have mortgaged the farm to sign him. Belichick is so much more than a great coach. But that still leaves us with Hilapio. At best.. Pulley and Greco at worst.